When the CrossFit game season arrives, people are always happy and anticipating how the games will turn out for each team. They start talking about the season who might win, where new talent can be seen and who to watch out for in the games. While this is going on companies such as Reebok usually target this period in time to release their new iteration of their most popular shoe in its line. 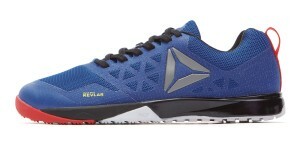 This sneaker line which is very popular is the CrossFit Nano. They have a lot of best crossfit shoes models models in this line starting from the Reebok CrossFit Nano 1.0 all the way to the new Reebok CrossFit Nano 7.0. We shall dwell in the new 6.0. As Reebok, had earlier indicated what they target to come up with in the Nano 6.0 would fit really well like the 4.0, a shoe that would bear a lot of resemblance in terms of looks with the 2.0 and lastly a shoe that would have the performance of the 5.0. This meant that the Nano 6.0 would be a superior sneaker that incorporated nearly all the benefits of its predecessors and that was a very new concept to be used in designing their new sneaker . 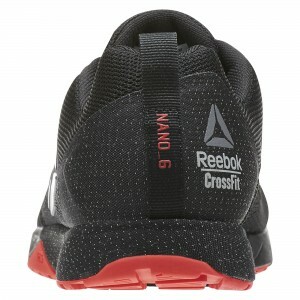 The Nano 6.0 has less branding on it of the CF label which people prefer to the previous model. People do love CF games but most do not want to wear a shoe that portrays to be like a walking billboard. The company however with the new shoe chose to put the simple Delta logo which looks good and clients prefer it more than the Reebok logo being plastered on the shoe. The logo was placed on the inside of the heel as CF and is quite small of which clients don’t mind. The inside of the shoe is the best-looking part by many standards. The Nano iterations of the shoe are protected in order to avoid abrasion that might come in contact with a climbing rope. The 6.0 improves on this by using Kevlar which has been placed in a very fancy looking Delta pattern which appears to look the same as the Delta logo. The Kevlar pops out and is noticeable without looking flashy or overdone. In addition to the Kevlar being set to look awesome it also is used to grip the rope and does this in such a way no other iteration has done before. The problem with this feature is that most climbing ropes used currently and is programmed is legless which means it won’t involve any usage of legs whereby users wore the Nano iteration to enhance this. The Nano 6.0s first release does not have any gum sole associated with it but some different ones have been displayed with the gum sole for those who may prefer them. The 6.0 is essentially to perform as the Nano 5.0 currently does. The Nano 6.0 has the outsole which looks the same as its of its previous predecessor the 5.0 which people have given reviews that they both look exactly the same. The 6.0 fits better than its predecessor and which makes it more natural and anatomical. What this does is make the shoe feel very comfortable while you run. 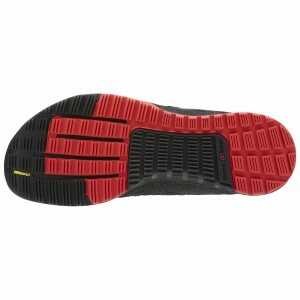 It has also been cushioned appropriately for a comfortable feel even when you run for long distances. The tongue of the it in the 6.0 is very free to move rather than the one in the 5.0 which was attached to the sole. In the 6.0 there also is no need to break them in they are a plug and play kind of it which Is very comfortable and does not need time to break them in before you enjoy wearing them. The Reebok CrossFit Nano 6.0 is among the best training sneaker available in the market. With all the features about it being demystifying here it should be a great chance to try them out and actually tell us your own view. They also look cool while you wear them so why not try them out. You will not be disappointed.